What type of music should I use? How do I use the Choreography to my advantage? Are there USDF Freestyle Awards? The horse and rider combination must be secure in the execution of all the technical requirements. It is recommended that they compete in freestyle one level below that which they are showing in order to maintain quality in their presentation. There is an eligibility requirement for entering and competing in a freestyle class at a United States Equestrian Federation recognized competition. Check the USDF Freestyle Rules and Guidelines for details. The technical requirements of each level mirror the training and balance expected in the compulsory tests for that level. Technical Execution (the judging of the compulsory elements) and Artistic Impression both count for 50% of the score sheet. The music chosen will depend on the horse's movement, type, personality and the rider's own musical tastes, but should serve to accentuate all of them. 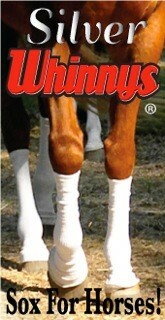 The various pieces should also match the tempos of his gaits. Music can be found in a variety of genres and styles such as classical, show tunes, movie scores, rock, orchestral versions of pop and so on. Whichever you choose, the same genre should be used throughout the freestyle in order to create a cohesive flow in the musical style. Listen to your music carefully. Can you hear parts that sound like a half pass or leg yield; a transition; a lengthening? Finding the right music can be challenging but fun. Use traditional and online music stores and your local library. 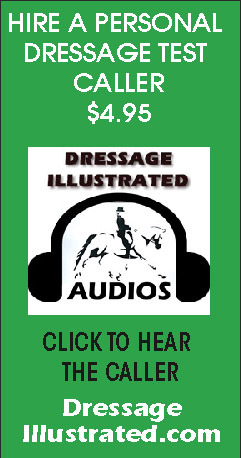 Some dressage websites offer musical freestyle databases. The choreography offers the opportunity to be creative and to show what the horse does well. It must incorporate all the technical requirements for the level, avoid forbidden elements (check score sheet for your level) and choose a degree of difficulty that corresponds to the horse's abilities so that the ride looks effortless. The horse and rider combination must be secure in the execution of all the technical requirements for that level. Interpretation is also a key element. Movements and figures should be started at the beginning of musical phrases, and dynamics such as crescendos can be used to support more powerful movements like extensions. This makes the horse and rider appear to be dancing to its musical accompaniment. The USDF recognizes achievement in freestyle performance with both year-end and cumulative achievement awards. The Adequan Musical Freestyle Award is an annual horse and rider award with prizes to winners at First through Fourth Levels, Intermediate I and Grand Prix. 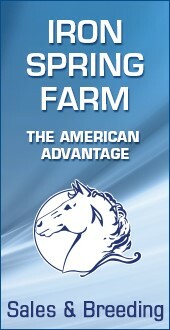 The USDF Musical Freestyle Bar is a cumulative rider award. It parallels the USDF Rider Medal awards with Bronze representing First through Third Levels, Silver for Fourth Level or for JR/YR the Prix St. Georges FS, and Gold for Intermediate I/Intermediate II and Grand Prix. A Musical Freestyle Bar can only be awarded after a rider has earned the respective regular USDF Bronze, Silver or Gold Medals. A rider can earn a Freestyle Bar in the same year as they are earning a respective medal. See the member guide for a complete description of Rider awards.